Although we support such traditional Outreach ministries such as serving in soup kitchens, our primary focus is to partner with the community where we can have a more intentional presence and make a real world change in people's lives. When shopping, pick up one extra item for a person in need. Columbia County Cares needs any non-perishable food items. Examples include rice, sugar, pasta, toothpaste, soap, shampoo and feminine products. 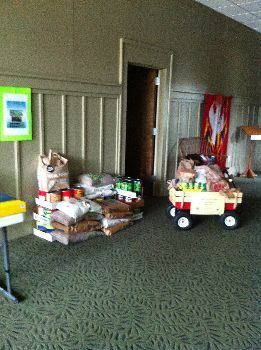 Items are collected every Sunday in the little red wagon by the front door. All items collected go to local families in need. Contact: Vivian Vaiden, Administrator at vivian@holycomforterchurch.org. 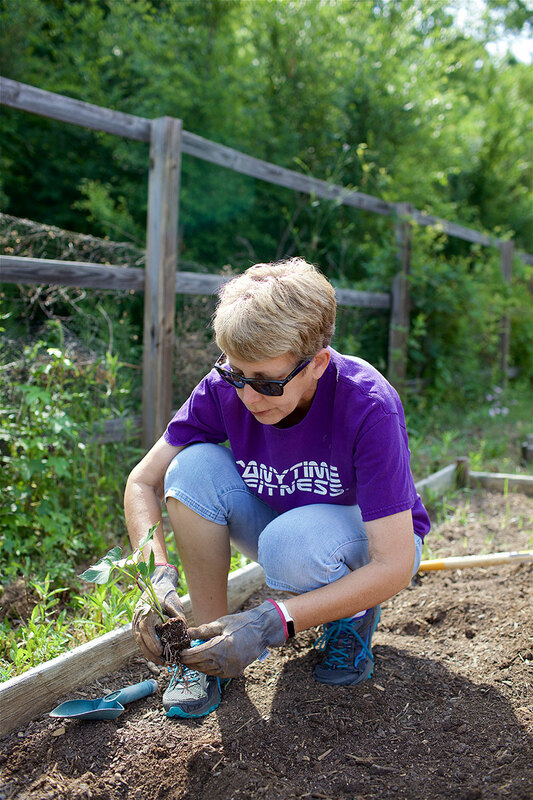 We provide more than half a dozen garden plots for use by anyone in the greater Augusta community. We provide the plot of land and water - you provide the rest. To reserve a garden plot contact Church Administrator Vivian Vaiden at vivian@holycomforterchurch.org. Holy Comforter frequently partners with Episcopal Relief Development (ERD). The mission of ERD is "to heal a hurting world guided by the principles of compassion, dignity and generosity. We take our mandate from the words of Jesus, found in Matthew 25." We have raised money to buy goats, chickens and even a cow in developing countries to partner with families in enabling them to become self-sufficient. And, unfortunatley, there have been too many opportunities of late to provide assistance through ERD for disaster relief. This is an ecumenical ministry whose mission is to bring spiritual renewal to the prisons. For several years Holy Comforter has supported Kairos at Leath Correctional Institute for Women in Greenwood, S.C. There are opportunities to work both within Leath as well as assist the ministry "outside the walls", as they say in Kairos. Contact: Linda Bargeron at lhbargeron@gmail.com. Ministering to the needy of Columbia County. We partner with other churches to provide toilet paper, tissues, paper towels, tooth paste, tooth brushes, soap, detergent, feminine needs, dish wash, soap, and shampoo. This is part of our InterFaith Group in Columbia County. Holy Comforter is home to at least five scout troops. Boy Scout Troop 10 was chartered here and in four short years has produced 8 Eagles Scouts. We also host Cub Scouts, Girl Scouts and Brownies. To get in touch with one of these programs, contact Church Administrator Vivian Vaiden at vivian@holycomforterchurch.org.